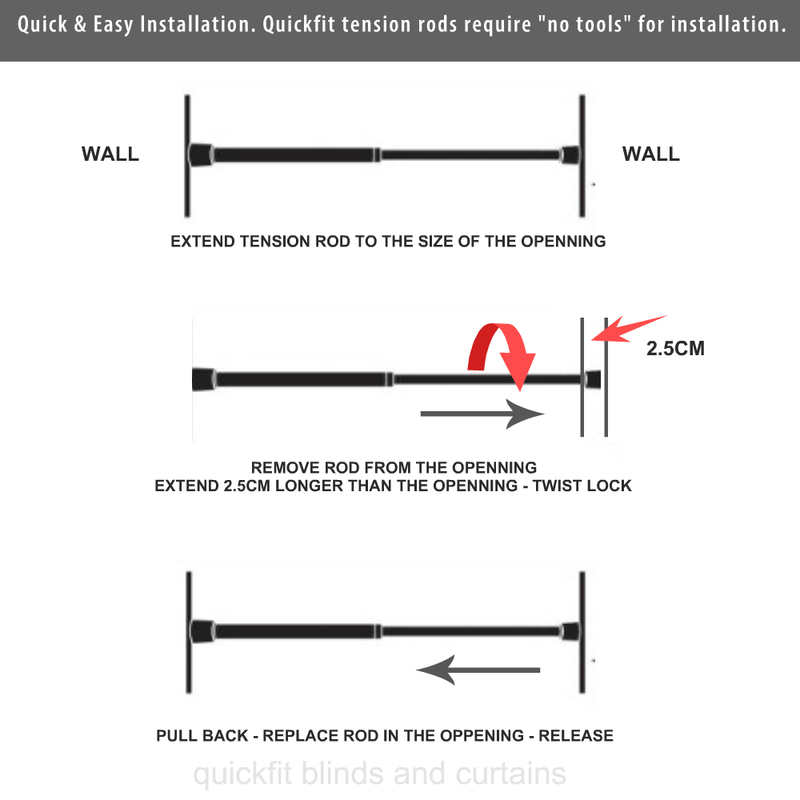 Hang a new shower curtain rail in minutes with this chrome coloured stainless steel extendable rod that needs no screw. Twist into place. A light weight solution that twists and extends into place in seconds. Suits spaces from 70cm to 120cm. These neat little rods or poles can be used for many things. Great for extra hanging space in wardrobes or laundries all you need are two oposing walls. can also be used for sheer curtains in small spaces or for temporary curtains in doorways to keep the cold out during winter and can be removed easily during summer. This is a nifty little device that can basically hang between two opposing walls without screws.. It is very cool. I went and purchased 3 more to use in my wardrobe.